Rumours about BlackBerry manufacturers RIM launching an iPad rival, allegedly called the ‘BlackPad’, are not new and all experts and fans do believe that RIM is indeed building a tablet. Now, The Wall Street Journal is claiming that the company may confirm the news as early as next week at a developers’ conference in San Francisco. It is reported that the tablet will have a seven inch screen with probably dual cameras, blue tooth and broadband connections. It’s supposed to launch in the fourth quarter of this year and according to The Wall Street Journal, the device will only be able to connect to mobile networks with a BlackBerry. It’s not clear which carriers or retailers will sell the device. 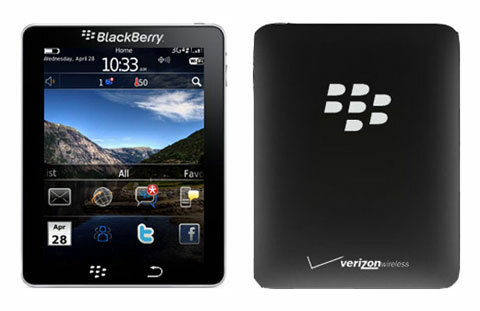 The source also claims that RIM will also announce the operating system that will power the new tablet and it’s not BlackBerry OS. Apparently, an OS maker QNX that RIM bought earlier this year, is building a new OS for the device and RIM may also move the BlackBerry to this new OS soon. RIM refused to comment, confirm or deny the report and that makes it more likely to be true as secrecy is always indicative of the presence of something that needs to be kept a secret. The RIM tablet is being manufactured by Quanta Computer Inc. of Taiwan, and will run on chips from Santa Clara, Calif.-based Marvell technology Group Inc., according to people familiar with the tablet’s manufacturing. There’s not much time left in the next week’s developers’ conference and the truth will eventually come out. It won’t be a surprise at all as RIM have been losing their market to iPhone and Android smartphones and need to come up with a new product to gain back users’ attention. Creating a whole new OS might just do the trick as inquisitive minds often spend more money than the rest of us.